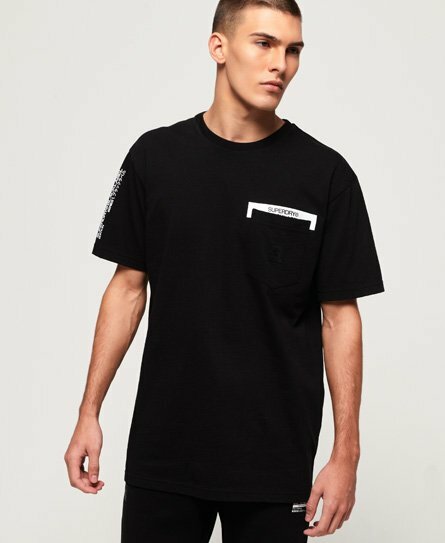 Superdry men’s Black Label Edition Pocket t-shirt. This t-shirt from our limited edition Black Label range puts a contemporary twist on the classic monochrome trend by combining with street wear style to create an oversized, box fit t-shirt. Featuring a crew neck and chest pocket with rubber logo badge, this t-shirt has been completed with contrasting logo designs on the chest, sleeve and back.